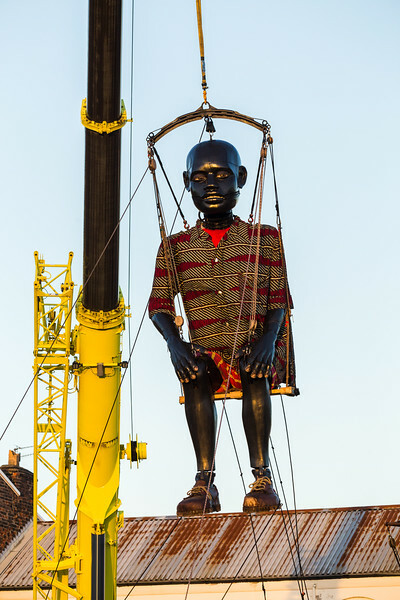 Giant little boy enjoying a ride on his swing. 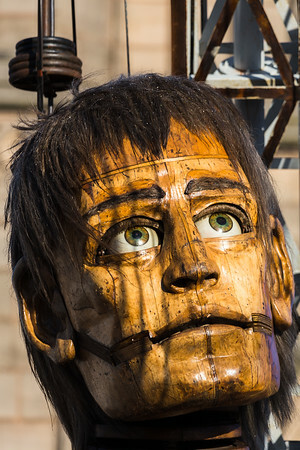 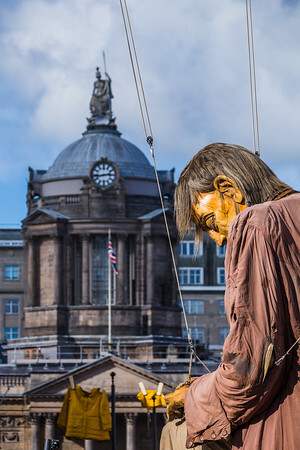 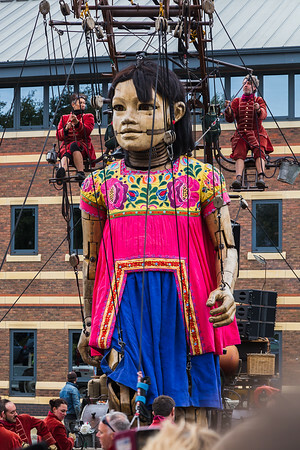 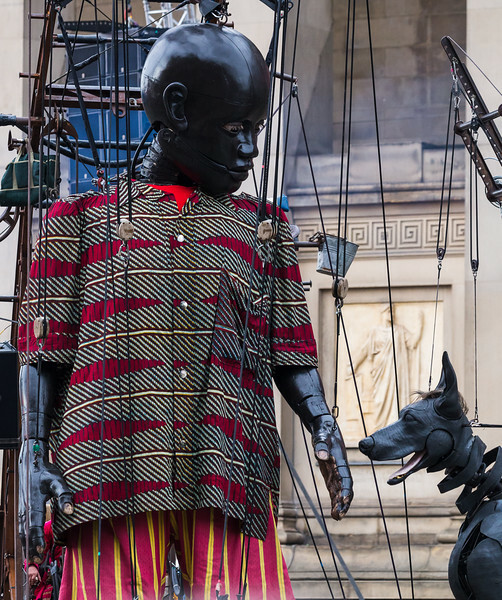 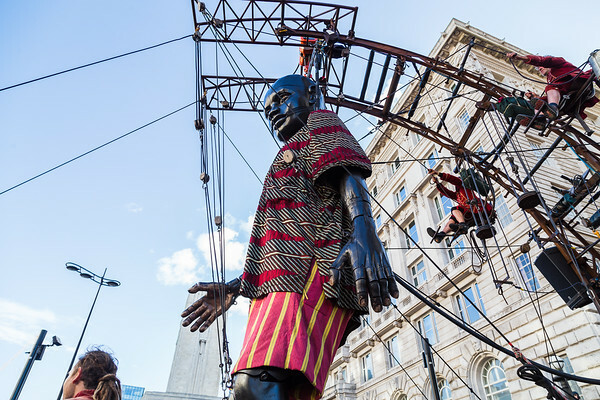 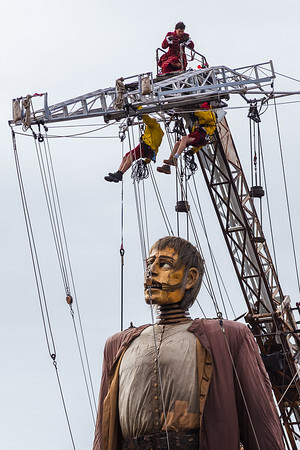 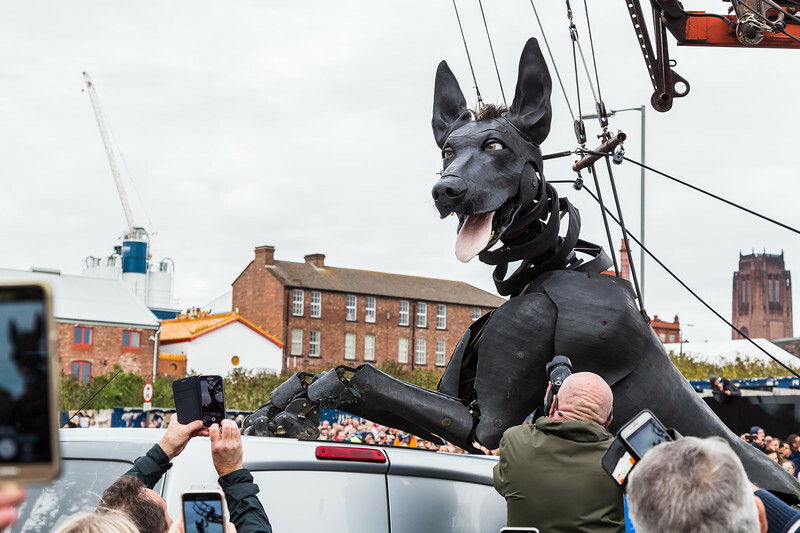 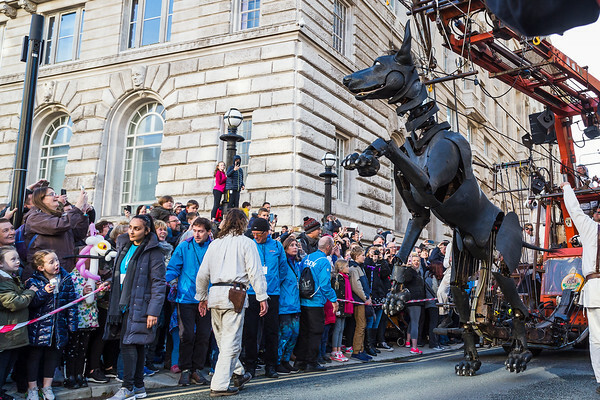 Captured on day two (Saturday 6th October 2018) in Liverpool during Liverpool's Dream - the final saga of the Giants by Royal De Luxe. 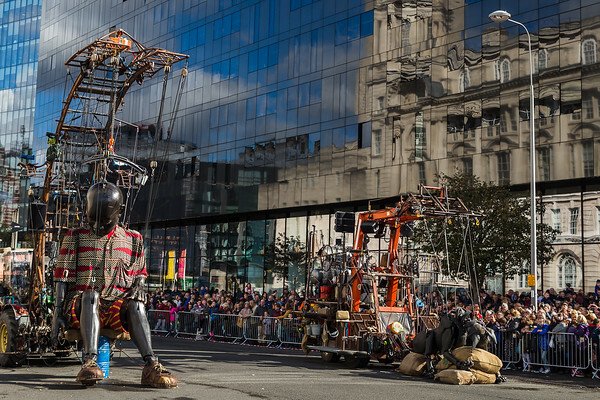 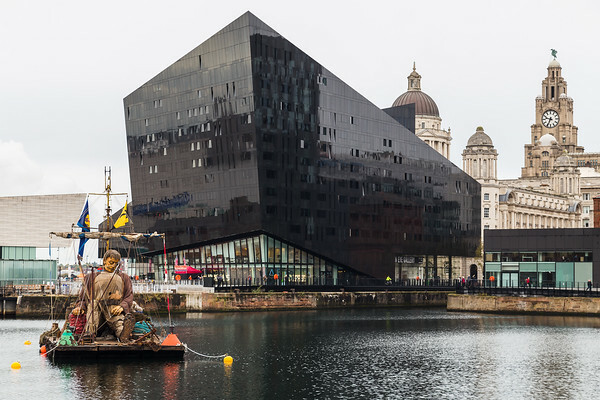 Giant little boy towering over the streets of Liverpool.